Niagara Falls New Years Party! Featured Artists: Burton Cummings, Walk Off the Earth, The Sheepdogs, Avenue Inn. The Niagara Parks Commission (NPC) and its Niagara Falls New Year's Eve event partners are pleased to announce an exciting roster of musical talent has been assembled for this year’s FREE New Year's concert in Queen Victoria Park. On December 31st, ring in 2019! 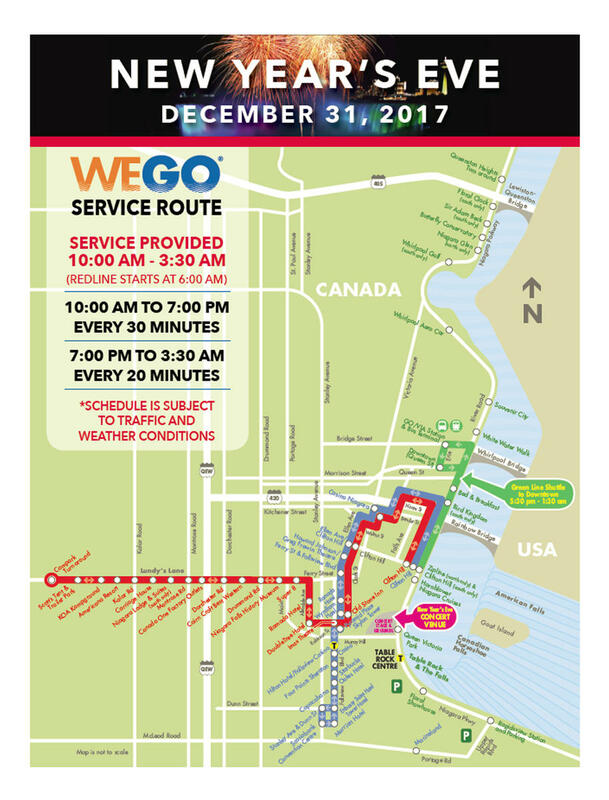 The Niagara Falls New Year's concert in Queen Victoria Park (QVP) draws approximately 50,000 people to the Park, and this year is expected to be no different, so come out and celebrate with us and enjoy two spectacular fireworks displays planned for 9:00 p.m. and midnight that evening, sponsored by Tim Hortons. 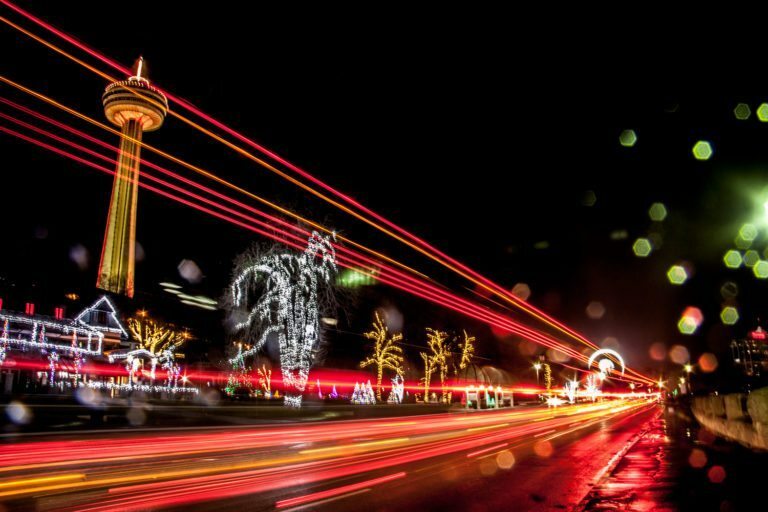 New Year’s Eve is one of Niagara Falls’ busiest and best nights of the year! It is exciting to see the whole city coming alive, as Niagara provides more to do than anywhere else in Canada on this special night. Visitors and residents alike should come on down and enjoy the entire tourism district in full swing – from great music in Queen Victoria Park to family fun at Clifton Hill's World Famous Street, to the high-energy gaming at the Niagara Casinos; as well as enjoy the many restaurants and spectacular hotel getaways, Niagara is the place to be on New Year’s Eve. One of the finest voices in rock music behind such hits as These Eyes, Laughing, No Time, American Woman and Stand Tall. Comprised of talented multi-instrumentalists Ryan Marshall, Mike Taylor, Gianni Luminati, Joel Cassady, and Sarah Nicole Blackwood. The Sheepdogs are a Canadian classic rock band formed in Saskatoon, Saskatchewan in 2006. Please note no alcohol is permitted on-site and as always, dress appropriately for all outdoor events. A variety of food and beverage vendors will be available, you won't have to go far for refreshments during this spectacular celebration. And with our outdoor licensed area, everything you need is right here! As always, the presence of security and policing will be on-site to ensure everyone's safety throughout the night. You may have been to the Falls 100 times, but have you ever arrived at the same time as thousands of other people? New Years in Niagara Falls has traffic! Please, We can’t stress it enough, expect to arrive and be parked at your destination by 8:30 pm at the latest. Choose a spot close enough to the New Year’s festivities, that is also walking distance from wherever you plan on having dinner, etc. If you plan on seeing the New Year’s Eve concert down at Queen Victoria Park, hopefully you picked a hotel within walking distance to the show. If not, click here and let us help you with a list of nearby hotels complete with a map that pinpoints their location in conjuction to the park, Niagara Falls, and the attractions that you wish to visit. Route #1 From Highway 420 1. Once you are on Highway 420 heading towards the Falls 2. Turn RIGHT onto MacDonald Avenue 3. Turn LEFT onto Centre St. 4. Turn RIGHT on Victoria Ave. 5. Turn LEFT into the Clifton Hill Parking side entrance. Once parked, it's a quick walk to the main event. Route #2 From Highway 20 (turns into Lundy's Lane) 1. Follow Highway 20 past Thorold Townline Road (where it turns into Lundy's Lane) 2. Continue Past Stanley Avenue 3. Continue onto Ferry Street 4. Ferry turns onto Victoria Ave, go RIGHT into the Clifton Hill Parking side entrance. Once parked, it's a quick walk to the main event. Route #3 From Thorold Stone Road 1. If you are on the QEW heading south towards Niagara Falls you will see signs for Thorold Stone Road. 2. Take the Thorold Stone Road exit and turn LEFT, continue all the way through to Stanley Avenue, slight right. 3. Turn LEFT onto Hwy 420. 4. Then RIGHT onto MacDonald Avenue 5. Turn LEFT onto Centre St. 6. Turn RIGHT on Victoria Ave. 7. 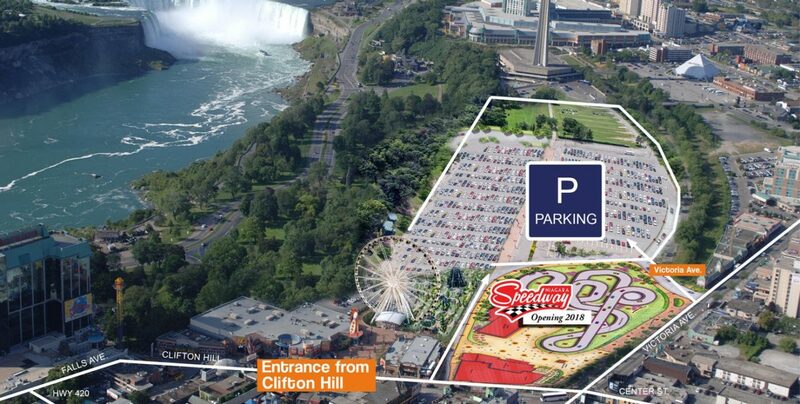 Turn LEFT into the Clifton Hill Parking side entrance. Once parked, it's a quick walk to the main event. Route #4 From McLeod Road 1. On the QEW, head south towards the Falls and take the McLeod Rd exit and turn left. 2. Travel through to the Marineland Parkway and turn LEFT on Stanley Ave 3. Turn RIGHT onto Ferry Street 4. Ferry turns onto Victoria Ave, go RIGHT into the Clifton Hill Parking side entrance. Once parked, it's a quick walk to the main event. Boston Pizza is the place to be for New Years Eve!!! Everyone knows NYE in Niagara Falls is Canada’s hottest spot to party and Boston Pizza Clifton Hill will be the place to be!!! This will be the party where you don’t need bottle service to get in. Everyone’s welcome, come casual or dressed up… the only thing that matters is having a good time! Celebrate New Years at Kelsey's Clifton Hill! Spend New Years at Kelsey's Clifton Hill, close to alll the action and events in Niagara Falls, Canada! The Greg Frewin Theatre presents a spectacular evening featuring International Grand Champion of Magic, Greg Frewin. You will be spellbound and amazed! They will cap the evening to ring in the New Year with dancing to classic rock with "The Associates" - Canada's premiere party band. Covering bands from Maroon 5 to Imagine Dragons, and Guns N Roses to Muse. "The Associates" play the biggest hits from the biggest artists, pleasing virtually everyone in the crowd. Book your Niagara Falls hotel now for the premiere New Year's Eve event in Canada, held in the most recognizable location in Canada - Niagara Falls! For further New Year's Eve Party in Niagara Concert information, visit www.niagaraparks.com.